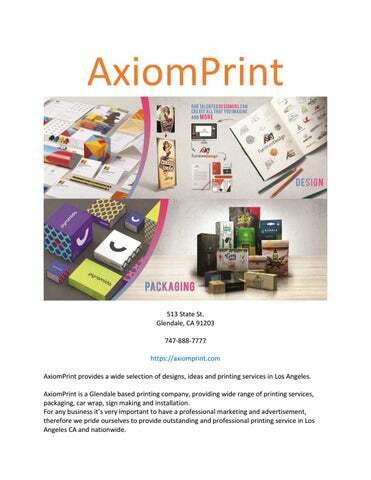 513 State St. Glendale, CA 91203 747-888-7777 https://axiomprint.com AxiomPrint provides a wide selection of designs, ideas and printing services in Los Angeles. 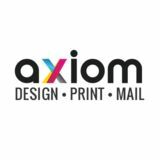 AxiomPrint is a Glendale based printing company, providing wide range of printing services, packaging, car wrap, sign making and installation. For any business itâ&#x20AC;&#x2122;s very important to have a professional marketing and advertisement, therefore we pride ourselves to provide outstanding and professional printing service in Los Angeles CA and nationwide.